In '99, after fifteen years spent going from one kitchen to another, he returned to San Gavino to open, with a few difficulties, his own restaurant, S'Apposentu, which in Sardinian means the good room, the one in which you welcome distinguished guests. In 2002 the restaurant was moved inside the Teatro Lirico in Cagliari: with a modern, minimalist style, but not at all cold, the restaurant has a scenographic in-view-kitchen and reviews local products and traditions in a modern way, with very light and intensely tasty results. In March 2005 he opened Lisboa, a neo-bistrot also focused on the research and valorisation of local products such as the famous piglet of which the chef is very proud (its bristles are removed following an ancient method known among local farmers, who burn the animal under the hay, so the rind can get a delicate smoked scent) or the tallutzas de coscia. The latter is an ancient type of pasta that housewives in Pompu, in the Marmilla area, used to make using the leftovers of the coccoi bread dough: they formed balls they then flattened on their thighs – coscia, in Italian, means thigh, hence the name – and once dried they cooked them on Sundays together with a meat sauce made with chicken offal – the area was famously known as biddas deis puddas, chicken villages. 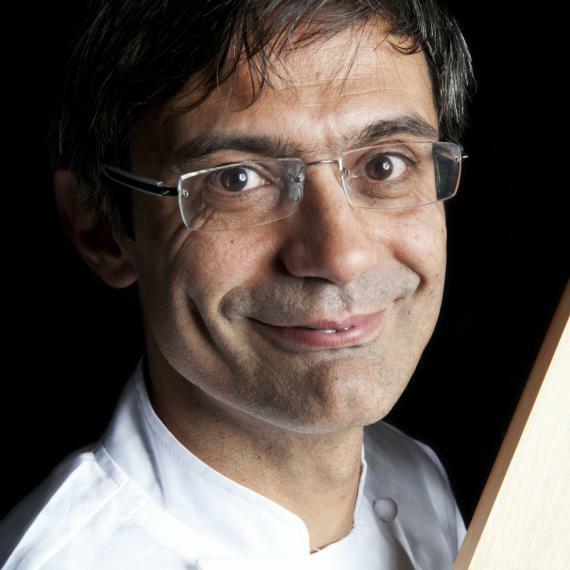 This neo-bistrot is also focused on the research of herbs growing naturally here and, of course, on San Gavino’s saffron, which Roberto uses for his ice-cream, matched with an almond cake. In 2010 a new adventure began in Siddi: always S'Apposentu but this time on the hills of the Campidano area, at Casa di Puddu. There’s also an Accademia di casa Puddu, a praiseworthy project to valorise a territory erroneously neglected that deserves, in fact, to be explored. For over a decade Roberta Corradin has been covering travel and food for Italian Marie Claire, L'Espresso, La Repubblica, illywords and others. She is a contributor for Food Arts. Her Italian rendition of Spices, History of a Temptation by Jack Turner was awarded with Premio Costa d'Amalfi. She edited the English version of Nonna Genia's Classic Langhe Cookbook. Her fiction works are published in German, French, and Spanish. Her last book Le cuoche che volevo diventare focuses on women and cooking, and was published in Italy by Einaudi in 2008.